Many people, particularly those who do not come from a shooting background, begin competing with their dogs in Working Tests. These are held out of the shooting season usually between the end of February and the beginning of October. 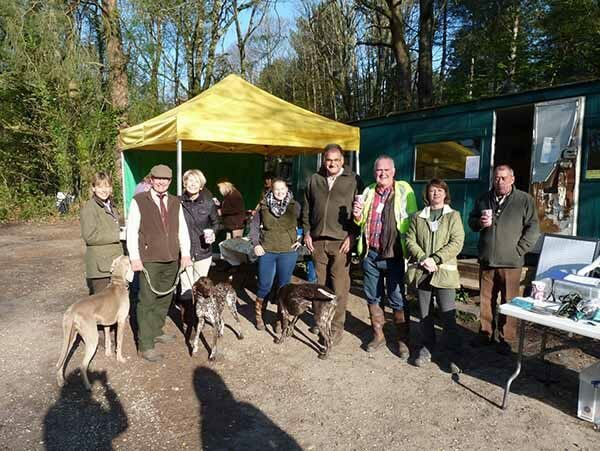 They are organised by all the HPR breed societies and in particular by our individual Branches and Groups. Schedules for working tests can be obtained from Branch and Group Secretaries and from other HPR societies throughout the summer. There are usually Puppy, Novice and Open classes and sometimes intermediate categories such as Graduate or perhaps a class for anyone who has never competed in a test before. The tests are held on land offering a variety of types of terrain and generally consist of four exercises or tests for each category. 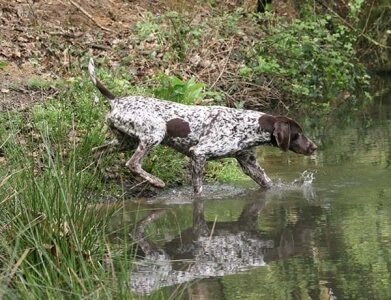 The exercises are based artificially on the work of the hunt, point and retrieve breeds and dogs may be expected to show that they can hunt ground, be steady to shot and fall and retrieve on command over land and from water. Generally the ‘quarry’ is a canvass dummy or sometimes a cold pigeon and the gun is usually a starting pistol. Puppy tests should be very simple, testing young dogs under the age of two years in basic obedience to handlers’ commands and elementary retrieves. Novice dogs will be expected to carry out more complicated retrieving exercises, respond to commands over greater distances and perhaps jump fences. Open tests are for the most experienced dogs and all the exercises will be more difficult. At most working tests there will be a water retrieve and in the open tests this will usually consist of an unseen retrieve from across a stretch of water, only the handler knowing where to direct the dog. At the end of the day prizes and rosettes are presented usually to the first four in each category. Many owners get their first taste of competing with their dogs at working tests perhaps having first attended Branch or Group training classes. They are very friendly occasions and there is much camaraderie between regular competitors. They enable handlers to overcome their ‘competitive nerves’ and give young dogs the socialisation they need to become good working gundogs. 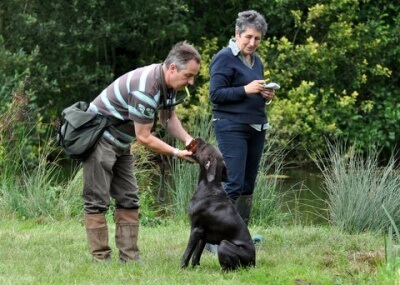 Working tests also give handlers the opportunity to see the strengths and weaknesses in their training programmes and they can often benefit from an exchange of ideas with others on various problems they may be experiencing with a particular dog. Some owners use working tests as a stepping stone to competing in field trials.